Maritza Sobalvarro, a coffee farmer in Nicaragua, is using lessons learned from the Better Coffee Harvest project to rebuild her farm. This is the fifth post in our month-long #SheFightsPoverty blog series in honor of International Women’s Day 2016. Maritza Sobalvarro on her revitalized coffee plantation, San Francisco Farms. Maritza Sobalvarro has become a model of success for her family and community in Matagalpa, Nicaragua. But her journey to success hasn’t been an easy one. Due to a difficult relationship with her husband, Maritza lost the five acre coffee plantation, San Francisco Farm, they had bought together ten years ago. Eventually, after a long struggle to make her case to national legal bodies, she was able to regain legal ownership the farm. However, after years of neglect that farm was in poor condition. “We had to start again, rebuild the farm, replant the coffee, and do it together with my children,” she explains. This was a defining moment in Martiza’s life, leading her to look for new opportunities and ideas to improve as a coffee producer. She joined TechnoServe’s Cosechemos Más Café (Better Coffee Harvest) project, where she has been learning improved agricultural management techniques. And she began participating more actively in the Green Mountain Cooperative, which allowed her to connect with coffee exporters such as Café Nor, a TechnoServe partner, in the region of Matagalpa. A year after joining the project – a partnership with the U.S. Agency for International Development, the J.M. Smucker Company and the PIMCO Foundation – Maritza has already increased land under coffee cultivation production by one-half acre and started growing new coffee varieties. Maritza is eager to share the importance of good farm management with family members and other coffee growers in the community, promoting the skills she learned through TechnoServe’s program about farming as a business. Maritza is well-known throughout the community, offering valuable support and encouragement – and a cup of fresh coffee – at San Francisco Farm. 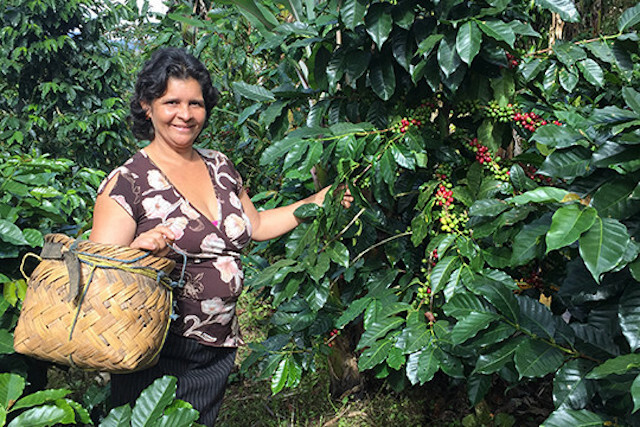 She has come a long way on her path to success, making her an important ally in the integration of women coffee growers in the project, with a sense of confidence that motivates other women farmers to listen.